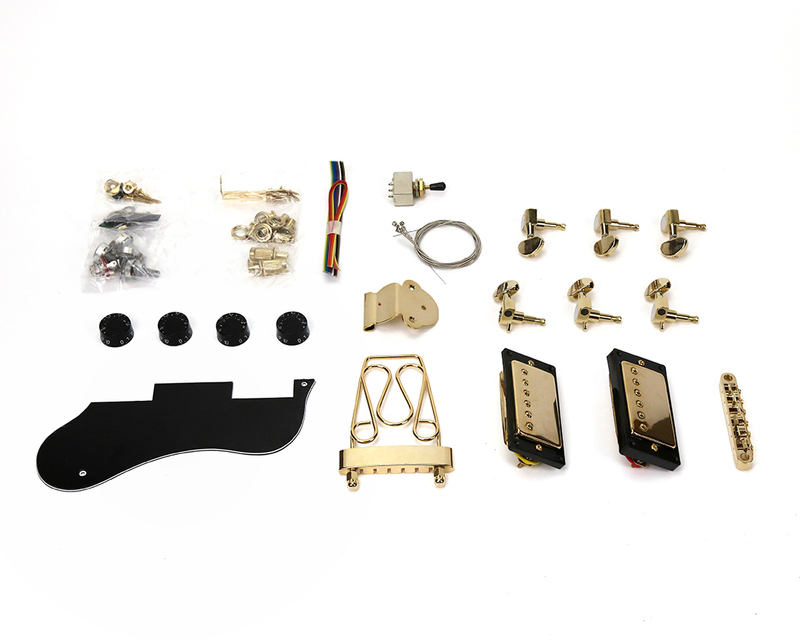 ES-1GT Gold Hardware Upgrade Kit. This pack contains everything you would find in one of our ES-1GT kits, except the actual body and neck, and it is all in glorious gold! 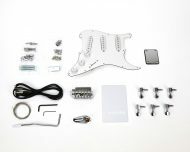 It includes chrome pickups, bridge, switch, output jack, strap buttons, machine heads and screws. 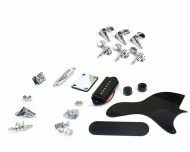 You also get a black pickguard, all the electronics and even a spare set of strings. Suitable for adding gold hardware to one of our ES-1GT kits.